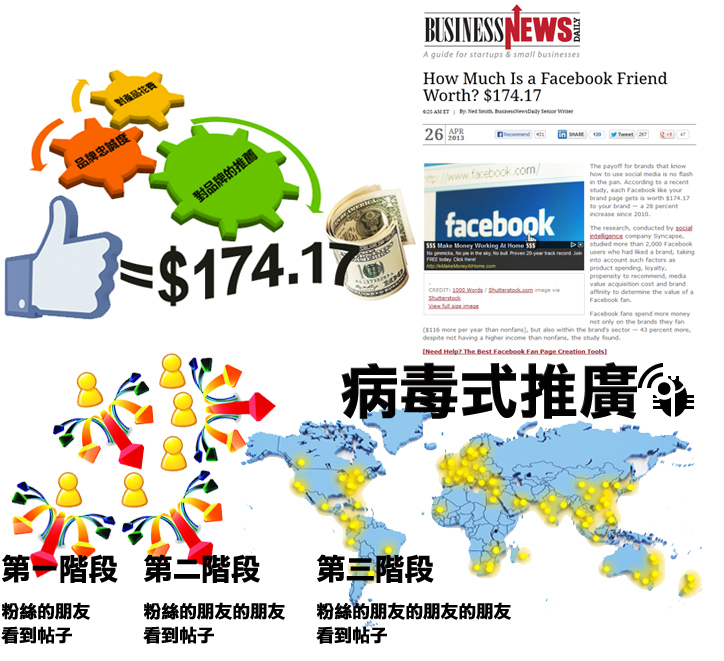 Hong Kong Facebook is currently about 5 million registered users, the exposure is very great. The salesman asked, you and other passers-by are interested, and with the crowd? Similarly, the addition of fans in Facebook can also achieve this effect. According to the International Newspaper Business News Daily, the latest 2013 Live Science survey found that the praise of each facebook merchandise page is equivalent to investing USD174.17 to your brand - an increase of 28% since 2010. To protect our customers, we will not make a public list of customers who use this service.